I have tried my best, but don't seem to get this one right. 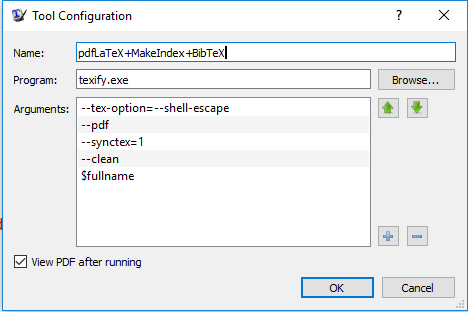 How do I enable shell escape in MikTeX? Why XeLaTeX comes with a default for shell escape but not LaTeX? in DOS. 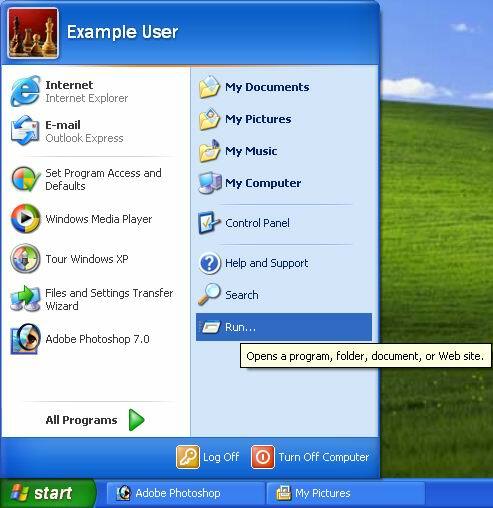 You can get to the DOS window by hitting the windows Start button, click on "run" and write "cmd" (without the quotes obviously, this might also be slightly different for win7, I think there you can write cmd right in the search line that comes up after hitting the start button). save and close the file. Now it should be permanently enabled with pdflatex. 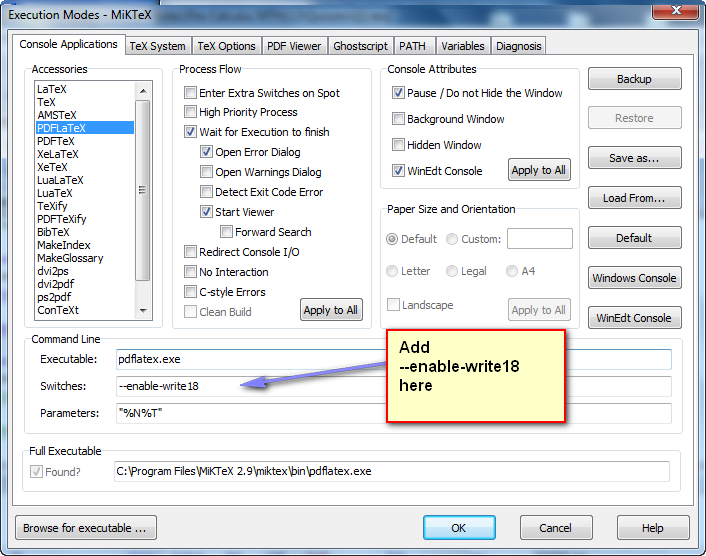 Enter --enable-write18 under the pdflatex Accessories under switches as shown in the diagram below. Source: How to do shell-escape in TeXWorks? Not the answer you're looking for? Browse other questions tagged miktex shell-escape or ask your own question. Feynmp-auto: why is the diagram not included in the pdf file?